When I was a junior at Virginia Tech, I signed up for an Ancient Philosophy course. I had a lot of big questions at the time, and I suspected I might find some answers in the cobwebs and browned pages of old books – somewhere in the body of knowledge called “philosophy.” But while the class was fairly interesting and I learned some important things from it, ancient philosophy didn’t seem to speak to my questions – at least not directly. Then one day, on a tangent, my professor mentioned René Descartes and his attempt to completely deconstruct and then systematically rebuild his own belief system. This seized my interest. 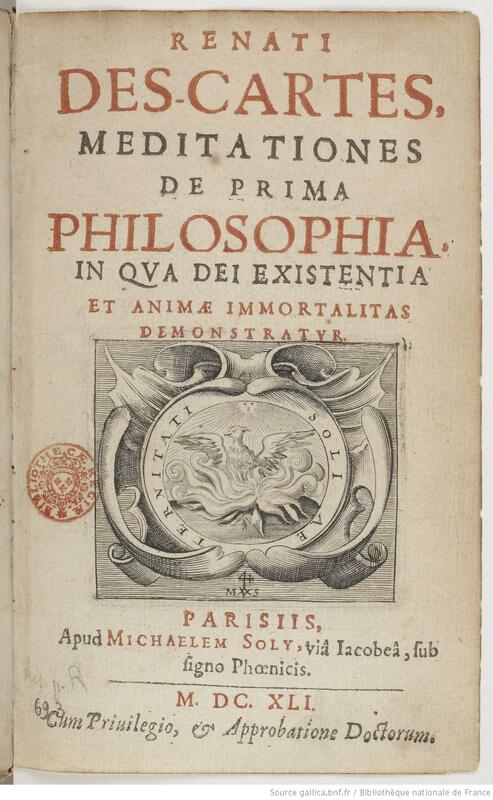 I remember writing the name down on my notebook so that I could ask him for the book title after class: “Rennay de Carte.” After he graciously corrected my spelling, my professor pointed me in the direction of the Meditations on First Philosophy, which I read almost immediately. I was hooked on philosophy for the next several years. Descartes’ mindset when he wrote his Meditations almost perfectly matched my own when I read them, so his words struck a strong chord. Ever since, he has been a benchmark figure for me – both in my understanding of the history of philosophy, and in my own intellectual development. While my friend Charlie was studying in Rome, he would occasionally visit Paris. We were both reading a lot of philosophy at the time, and after one trip, he told me that he’d seen René Descartes’ grave. It was a fairly nondescript tomb, he said, in a church in the middle of the city. This seemed a little strange, because Descartes’ philosophy was recognized (even in his own time) as being contrary to Catholic theology. But regardless, I was impressed by the fact that some places are so rich in history that you can just stumble upon the graves of historical icons. I’d been in Paris for a couple weeks when I remembered the conversation with Charlie. 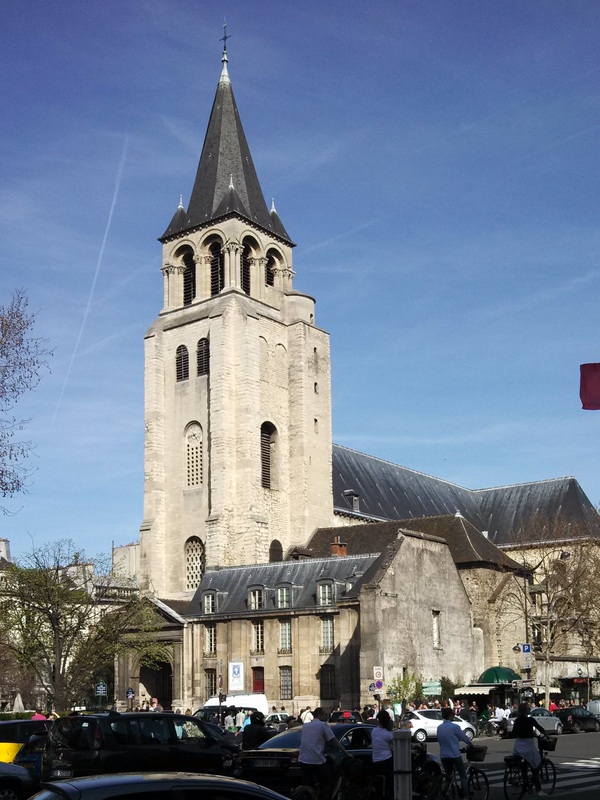 I had a look online, and quickly discovered that the church Charlie was talking about was actually the Abbey of Saint-Germain-des-Prés, and it was only a few blocks from the hotel where I was staying. I walked by it every day on the way to and from the train. So the next day on my way home from work, I stopped by to see if I could find the tomb. The church was open when I got there, but empty and dark inside. At first I couldn’t find it. I took a quick walk around the church, scanning all of the side chapels, and I even jumped a barrier to get into the area behind the altar – but no luck. I was looking for a horizontal stone tomb, or a steel plaque on the floor, or at least a sign that drew attention to it; but there was nothing of the kind. Eventually I went back outside to get a signal on my phone, which I used to look it up on Wikipedia. I wondered if there were two churches with the same name, or if the tomb might be in a part of the church not open to the public. But the article confirmed that I was in the right place; so I went back in to have a closer look. 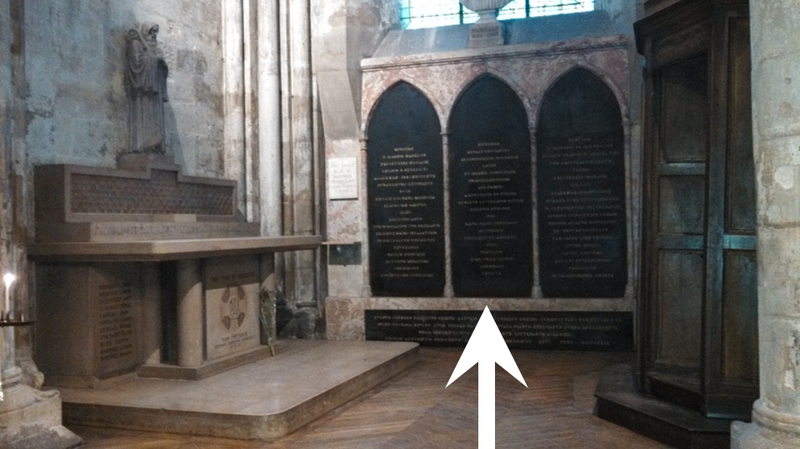 This time I found it – behind the main altar, in a side-chapel, in the wall, between two other guys I’d never heard of. I didn’t do much more than stand in front of the inscription and think “wow, Descartes’ bones are behind that stone slab” for a couple minutes, but it was still satisfying to realize that one of the most famous philosophers’ remains were right there, in the same building as me, only a couple feet away. I haven’t quite figured out why yet, but there is something that is deeply gratifying about getting physically close to important things in our lives – particularly ones that we’ve previously only heard of or read about, and even when there is nothing impressive to see. It is the same type of experience that people seek when they push through crowds or wait in long lines to catch a glimpse of a celebrity. Sure, celebrities are usually strong or good looking, but with all of the digital re-touching that goes on in the media these days, they look better in the magazines or movies than in person anyway. It isn’t the draw of their attractiveness that explains the crowd; it is being there, close to the real thing that attracts people. Likewise with Descartes’ grave. There was nothing impressive about the site itself to keep me standing there more than a moment, but there was something about simply standing there, close to the real thing, that compelled me to investigate, seek out and visit that spot. In any case, one of the coolest parts of the experience was that it took place in such nonchalant circumstances – that is, on my walk home from the train station after work. I didn’t even have to make a detour. 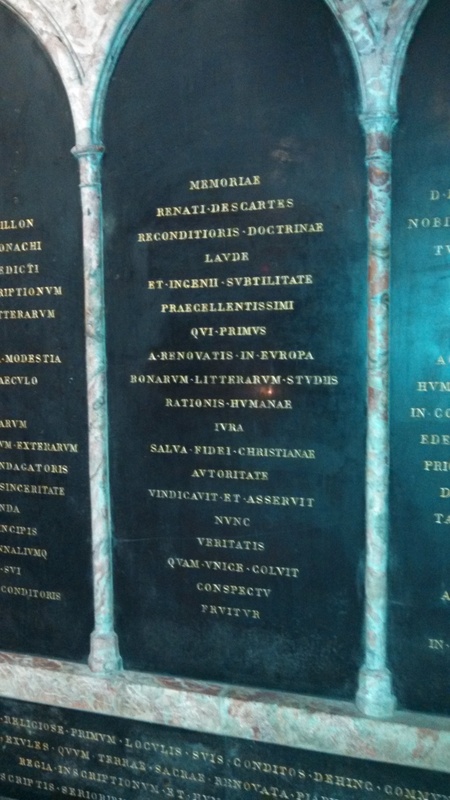 It makes me wonder: if I found Descartes’ grave after only a few weeks, what else will I find in the coming year? 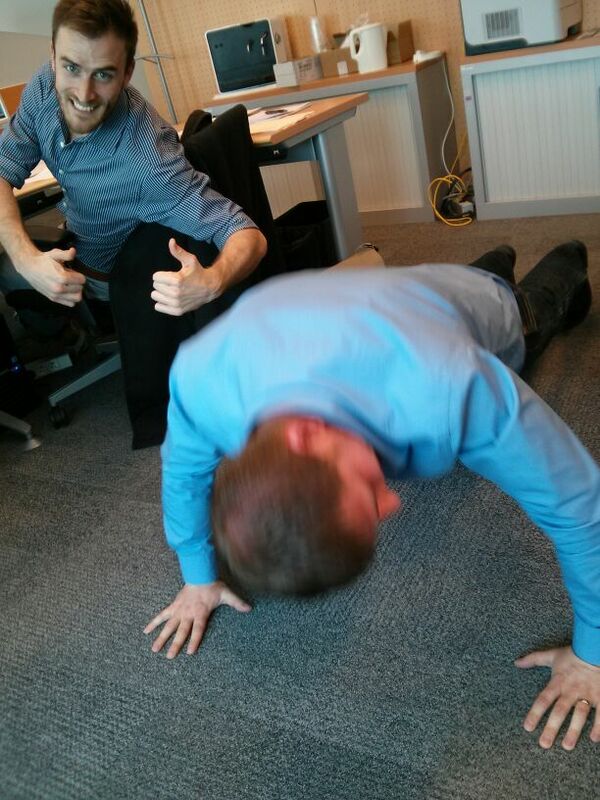 I started work on Monday, the day after I arrived. It was definitely a case of “hitting the ground running,” but I really didn’t need much more time to get settled, seeing as I was just staying in a hotel room for the first couple weeks. My office is in Saint-Quentin-en-Yvelines (still haven’t figured out why it is all hyphenated – anyone? ), a suburb to the south west of Paris, very close to Versailles. In fact, I can see the palace from the train every day, though as the leaves fill in, the view is becoming slowly obscured. It is a 45 minute train ride each way from the center of Paris, but so far I have been using the time to study French or write these posts. 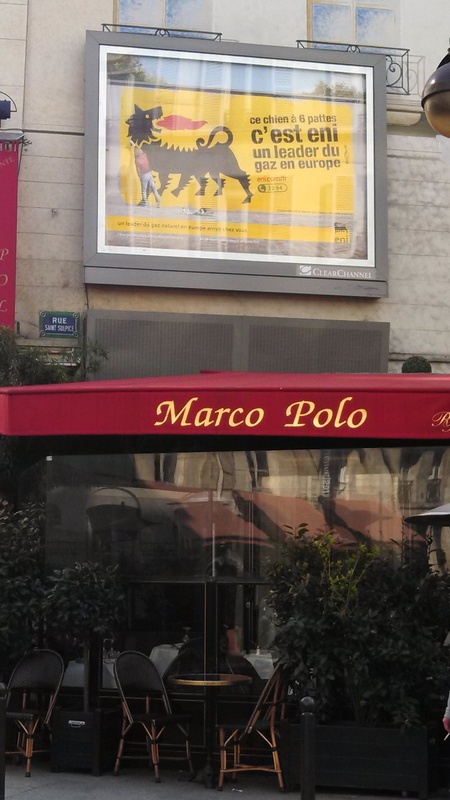 Eni has been advertising recently in Paris. I am contracting for a company called Saipem, one of the largest EPIC (engineering, procurement, installation and commissioning) companies in the offshore oil and gas industry. 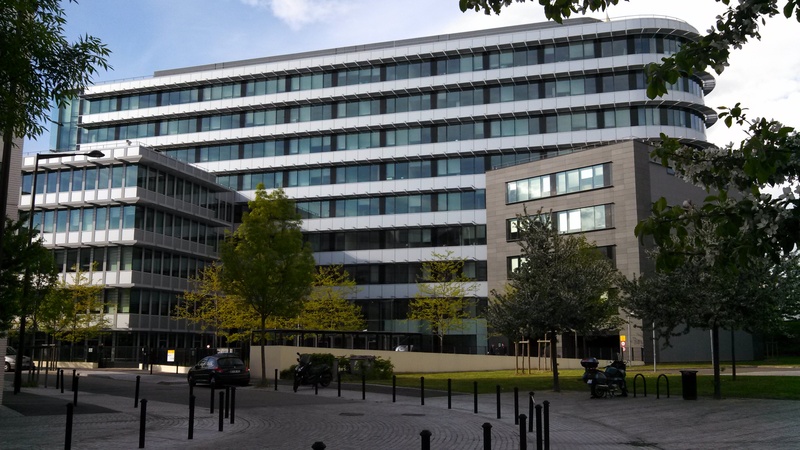 We have tens of thousands of employees worldwide, but here in Paris there are about 2,600. Why is an oil and gas company located in Paris? I am not completely sure of the reason, but I assume that because France lacked and major oil fields that would have otherwise located their energy hub, it defaulted to the only major city, Paris. It helps, of course, that Total, BP, and other energy companies are also located here. Saipem is public, but 43 % of its shares are held by Eni, the Italian energy company, so we share the logo and have a lot of Italian management. This is my building, one of two that Saipem occupy in the same business park. The other is to the left, out of sight. It is double the size, though all of the engineering is in my building. The office itself is very nice and modern, but not very unique. One nice thing is that all of the desks are very close to large windows, so there is a lot of natural light all the time and a decent view. The office is only about a 5 minute walk from the train station, in a small, modern, planned neighborhood. There are a few other office buildings, a park and several apartment buildings. The lobby at the office. I took this when I first arrived on my first day, while I was waiting to be escorted to my desk. 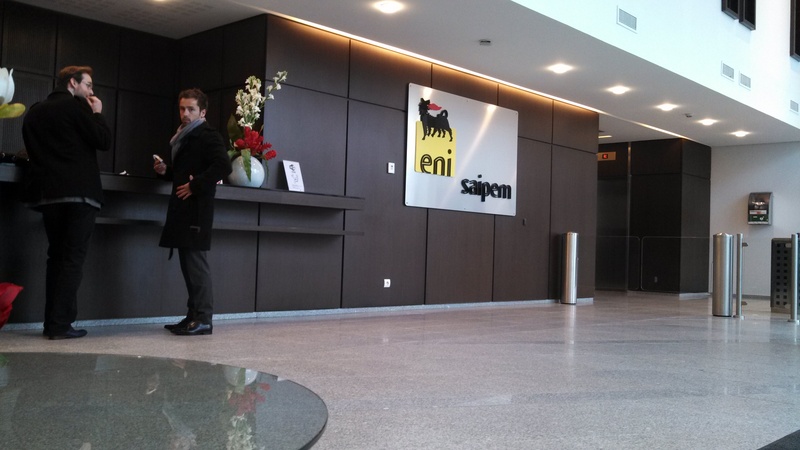 Although Saipem is nominally Italian, it is a very international company – as are many in the offshore industry. Because of this, the working language is English, though French is used almost as frequently, if not more so, and every once in a while the Italians will break into their native tongue. Over the course of four weeks I have overheard two or three Americans talking in the hallways, but I have yet to meet any; so it’s safe to say that we are a negligible minority. I’ve met plenty of British, a couple Australians, a lot of Nigerians other west-Africans, and then there are the guys in my group. I am working in a newly formed group, Subsea Umbilicals and Controls, which includes integrity monitoring and subsea instrumentation – my areas of “expertise.” There are six of us in the group, and it is managed by a guy that I’ve actually known and worked with for a few years now, as he was Saipem’s representative to BMT, my previous company, on one of my projects. The group consists of two French full-time employees who have been with Saipem for several years, and then four contractors: myself, James, Waunderson and Andreas. The four of us are all in our late twenties or early thirties, all new to Saipem, all new to Paris, and all new to France since the beginning of the year. Waunderson took this picture from his desk. I am in the middle, Andreas in on the left and James is on the right. All of us have about 5 – 8 years of experience in subsea oil and gas engineering; so in addition to being in a similar life-situation, we are all at about the same point in our careers. And we all sit in the same 4-desk cluster, only a few feet away from each other. I suspect that the French employees nearby are starting to get tired of our occasionally boisterous English conversations, but I also suspect that they’re going to have to put up with them for a while. I really couldn’t have asked for a better group of guys to be thrown in with. I will be working on a Nigerian project for Total for the next year or so. I will be supervising the technical side of the procurement of the systems that I was doing the engineering for at my last company. I will be writing the system specifications, evaluating bids, and reviewing the vendors’ designs and technical work once we start the job. It will also mean traveling to the vendor’s facilities a few times during the project, and then working onshore and offshore with their engineers when we go to Nigeria for the final testing and installation. We haven’t selected a vendor yet, but one of the three is my old company, BMT, in California. Another is PULSE, one of the companies that I interviewed with in Houston before taking the job here in Paris. The third is a French company, Cybernetix (now part of Technip), which is located in Marseille. So however it turns out, it should be interesting.